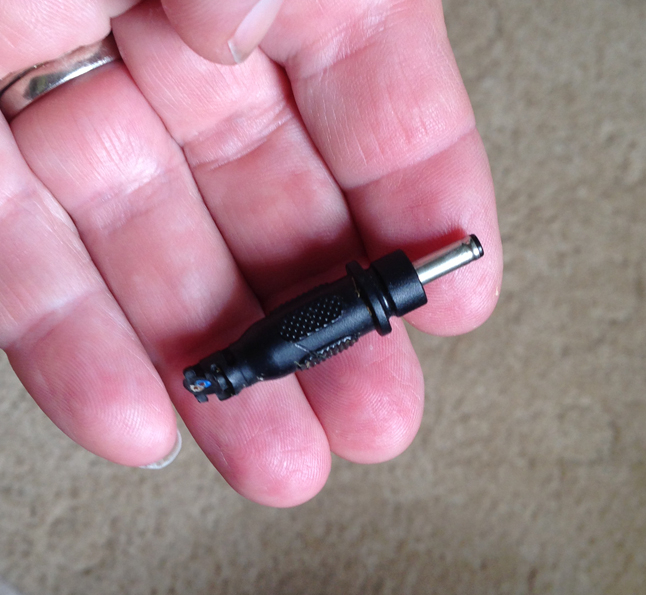 what kind of plug is this? And where can I get one? Saw some that look similar on your site…. So here's what I have. Bought a solar fountain for my birdbath. Well some gangster rodent chewed through the wire. Solar panel you poke into the ground, then a thin wire leading up to the pump and between the two is a male-female connector. Who ever chewed through got it RIGHT at the base of the plug. Not enough wire there to splice. I took a photo of the plug bit, not sure that will help. The paperwork that came with this thing does not even include a company name BUT DOES include some electronic specks. Hoping someone here knows what to look for at least. There's also an led light some numbers I don't understand, but I doubt that takes much power at all. Anyone have a clue what to replace this with? OR if I even need to? I could just cut off the other end and splice the wires directly together. But I'm not sure if this plug does anything to the current or not.